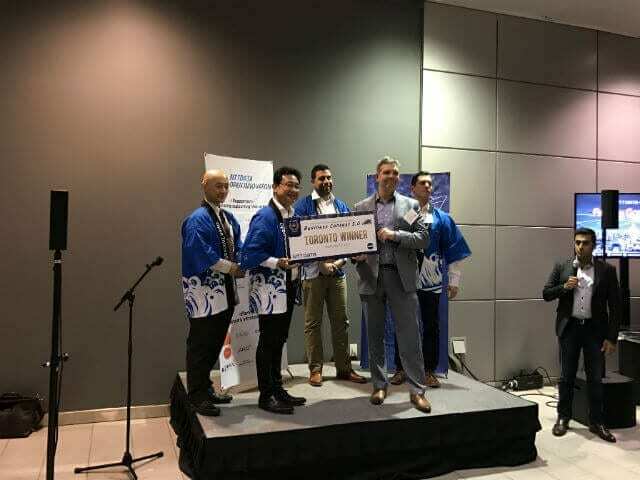 Last week, Soundpays was announced as the winner of NTT Data’s Open Innovation Contest in Toronto. This was one of 10 global competitions NTT will be hosting around the world, from London to Tel Aviv to Sao Paulo. The winners from each country will face off in the finals in Tokyo for a cash prize, potential collaborations with NTT, and of course, bragging rights. The breadth of companies that pitched at last week’s event was reflective of Canada’s diverse tech scene. As the ventures in the ecosystem continue to grow and scale their reach, many are looking to international markets for testing, piloting, partnering, investment sourcing and sales. All of the finalists who pitched at the competition had an interest in exploring synergies with NTT, which has a wide range of focus areas – including fintech, healthcare tech, digital marketing and more. Soundpays uses ultrasonic sound wave technology that allows users to make purchases upon viewing an ad. By enabling single-touch purchases, this solution simplifies the checkout process and allows for potentially new modes of commerce. The Soundpays team will head to Tokyo later this spring to compete against other global pitch winners. The runner-up at the Toronto event was Hyr – a solution that allows traditional businesses to leverage on-demand, shift labour. By allowing workers to move freely between shifts, receive benefits (that many freelancers otherwise might not get), and collect their pay quickly and efficiently, Hyr is providing a critical service. It benefits business owners that need labour, while simultaneously empowering the modern worker. VIRTOI – explores the intersection of real estate and virtual reality (VR). The event’s keynote speaker, Darrell MacMullin, who is the CEO at GoldMoney, emphasized the importance of keeping a global perspective in any company’s strategy and approach. While there are still barriers and friction points for companies looking to leverage global channels, this open innovation contest is an indicator of both the internal and external appetite for distributing Canadian technologies beyond North America.